The Madrid Street Art Project is an initiative to promote and enjoy Madrid’s street art through guided tours (labeled “Urban Safaris”), an online gallery, and more. Its identity, designed by local firm IS Creative Studio is so dead simple it hurts. 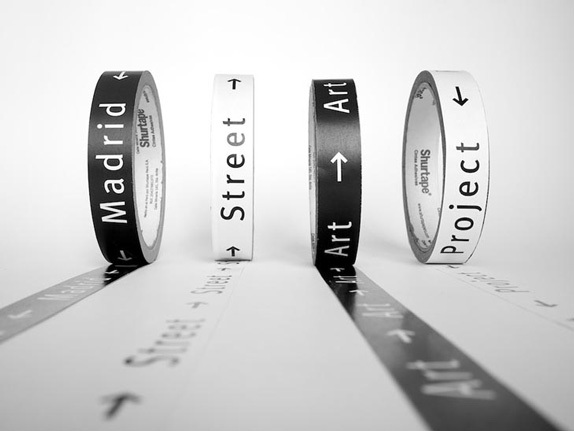 Based on ubiquitous online maps, the black and white elements — street lines, arrows, superspaced sans serif — on their own are as visually exciting as a one-way black-and-white arrow sign but when brought together they explode into all kinds of cool. [More].